Robert was called to the bar in 1996. He joined Lincoln House Chambers in 2008 from Peel Court Chambers, where he had cemented a reputation as a powerful resource for clients seeking advice and representation in cases of complexity. 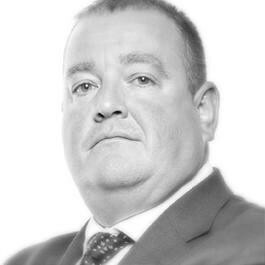 He has a substantial defence practice, frequently representing members of alleged organised crime groups in Manchester & Salford in cases of the utmost seriousness. Robert is one of only a small number of Northern Circuit Barristers who have been placed on the CPS Serious Crime Group Panel at Level 4. This allows him to be instructed in cases for the National Crime Agency. He is also a specialist prosecutor for sexual offences at level 4. Robert also has an established regulatory practice, particularly where it crosses into criminal law. Robert regularly conducts matters on behalf of Medical Professionals who face proceedings brought by their regulatory bodies.